Congratulations to the former Cardinal Bergoglio of Argentina, who is now Pope Francis. He deserves our best wishes, but even more than that, our prayers. He will have a difficult task in a world that clamors for change, while God’s truth and the gospel never change. I am very happy at the name Cardinal Bergoglio chose: that of Saint Francis. This name signifies a desire for service and compassion that even President Obama recognized, when he congratulated the new pope as a “champion of the poor.” Yet as important as Cardinal Bergoglio’s heart for the downtrodden may be, much more important is his new task of steering the Catholic Church back to the original teachings of Jesus. 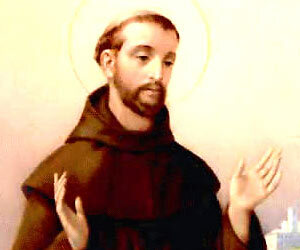 In fact, the story of the original Saint Francis, who lived in 12th century Italy, begins with a vision: as Francis was praying in the dilapidated chapel of San Damiano, he heard a voice saying, “Francis, repair my church, which has fallen into disrepair!” At first he took this commandment literally, thinking he was to rebuild broken walls and stonework. But he soon came to understand that God was calling him to something much more: to call his fellow believers back to the radical simplicity of the gospel. These prophetic words may not be comforting, but they should encourage those of us who call ourselves Christian — even if non-Catholic, as I am – to pray for the new pope. He will certainly be in my prayers. The Catholic Church is more than a pro-marriage and pro-life lobby group. Who was St Francis? Was he a Franciscan poor man, a Jesuit missionary or a Salesian bishop of Geneva? I am reminded of a person visiting a magnificent rich Franciscan community who wondered is this was their vow of poverty, what was their vow of Chastity like.